Boston- Citing the need for greater transparency, Representative Richard Ross today praised his colleagues in the House for adopting his amendment that would create a website in which health care providers would list their pricing for services offered. The Wrentham Republican said the information would be accessible on the Division of Health Care Finance and Policy’s official website and would help consumers make more educated decisions regarding their health care choices. While arguing in favor of this amendment during the FY11 budget debate, Representative Ross said listing prices will hold providers more accountable because their performance can be compared and contrasted with other providers. More than thirty other states have statutes requiring hospitals to report pricing information including California, Florida and Nevada. Representative Ross’ proposal was unanimously adopted on a voice vote. There’s a growing debate in the United States about immigration reform and while Arizona’s new law has been getting much media attention, today an amendment offered by Representative Jeff Perry is gaining momentum right here in the Commonwealth of Massachusetts. The Sandwich Republican offered the amendment to the FY11 budget which would add a new section requiring the verification of lawful presence before awarding public benefits. To put it simply, if signed into law, it would prevent illegal immigrants from accessing public assistance. Not surprisingly, after Perry’s amendment was introduced on the House floor, Democratic leaders quickly offered a further amendment, sending it to study. Here’s the kicker…last year on May 1, 2009, the same exact amendment was offered and again, Democrats sent it to study. There was a major difference however between last year’s vote and this year’s. In fact, when the House voted on the further amendment last year, 118 representatives voted to send it to further study, essentially killing debate on the issue. This year, that number dwindled with only 82 members voting to send it to further study. What a turnaround from last year! Regardless of what the economic ramifications would be of adopting this amendment, the fact of the matter is this is good public policy. Given the current economic crisis, the Commonwealth of Massachusetts is having a hard enough time providing assistance to citizens here legally. It is mind-boggling and furthermore a slap in the face to taxpayers that we continue to provide taxpayer-subsidized assistance to people here illegally. While we believe it’s about time this common sense proposal becomes reality, it is past time we had a straight up or down vote on this amendment. As we reported here on The Capitol View last night, Republican lawmakers offered two amendments yesterday aimed at reducing the tax burden on the people and small businesses of the Commonwealth of Massachusetts. Our effort to roll back the sales tax and repeal the sales tax on alcohol purchases was quickly rejected by Democratic leadership who decided to pull a well known political maneuver, further amending our amendments by sending them to study. Well, the Boston Herald was paying attention and called out the Democrats who voted to kill debate and avoid a difficult vote in an election year. 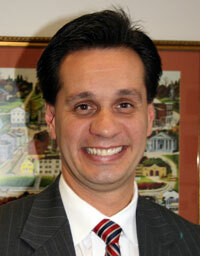 Click here to read the Boston Herald editorial. The Massachusetts House of Representatives today debated a number of amendments to the FY11 budget. Among the many amendments were two Republican-offered proposals – one of which would have rolled back the sales tax to 5% and the other was aimed at repealing the sales tax on alcohol purchases. Not surprisingly, the Democratic Leadership shut down debate on both of the amendments with an old tactical maneuver – they sent the amendments to further study! While we here at The Capitol View remain frustrated with Democratic House leaders, we were pleased that several Democrats joined us in voting against the silly further amendments. For those of you who don’t know…further amending an amendment by sending it to study is a way to avoid taking what may be seen as a tough vote. It’s important to note that neither one of our proposals would have taken effect until July 1, 2011. However, if both respective ballot questions are successful, the changes would take effect on January 1, 2011, severely impacting this year’s budget. BOSTON— Calling it a bipartisan victory, House Minority Leader Bradley H. Jones, Jr. today praised his colleagues in the Massachusetts House of Representatives for adopting his amendment to protect taxpayers from yet another tax increase. As you may recall, the House Ways and Means Committee proposed allowing municipalities to raise property taxes outside of the constraints of the so-called “proposition 2½ limits” without a local vote. Representative Jones, with the support of all of his Republican colleagues, filed an amendment to the so-called Municipal Relief Bill striking out the language permitting the increase of property taxes absent an override vote. Citizens for Limited Taxation had estimated that if this bill passed with the original language, it would cost Massachusetts taxpayers more than $500 million in increased property taxes. “I applaud my colleagues across the aisle for joining me in this cause,” added the top Republican in the House. A Republican amendment to strike out controversial language that would allow cities and towns to essentially circumvent Prop 2 1/2 in the so-called Municipal Relief Bill is picking up the support of editorial boards across the Commonwealth, particularly the Boston Herald. “Whatever the actual amount, the provision is clearly an end-run around Prop 2 ½ - and that ought to make it a non-starter in a year when taxpayers have already had it up to their eyeballs with tax hikes,” said the Herald Editorial Staff in today’s paper. Meanwhile, just a few minutes ago, State House News Service reported that Seth Gitell, spokesman for Speaker DeLeo said, "That provision will be struck down with the start of House action today. The Speaker has always said he doesn't expect any new taxes in this budget and he doesn't support whatsoever any weakening of Proposition 2 1/2." Who said the Minority Party can’t be effective? The House will be taking up this bill today and The Capitol View will be checking in later to let its readers know the status of the bill. Boston- Citing the poor economy and the already high tax burden, House Minority Leader Bradley H. Jones, Jr. and Senate Minority Leader Richard R. Tisei today vowed to fight against any legislative proposal that would allow cities and towns to raise property taxes on the people of Massachusetts. This comes after learning that the House Ways and Means Committee proposed allowing municipalities to raise property taxes outside of the constraints of the so-called “proposition 2½ limits” without a local vote. Given the negative economic climate in Massachusetts, the top Republicans in the House and Senate were outraged to hear that a legislator could be so disconnected to think taxpayers could afford to pay another dollar in property taxes. “It’s simply mind-boggling that in a time when foreclosure initiations spiked more than 20% from last month, a Democratic lawmaker on Beacon Hill could have the audacity to suggest raising taxes, yet again,” said Representative Jones. “If this isn’t a slap in the face to the taxpayers, I don’t know what is,” the House Republican Leader added. On Monday, the Massachusetts House of Representatives will take up a Municipal Relief Bill, which contains the proposal. Representative Jones has already filed an amendment that would strike out the language permitting the increase of property taxes absent an override vote. Citizens for Limited Taxation estimates that property owners could see as much as $550 million in additional property taxes if the proposal is adopted during Monday’s debate. Republican lawmakers in both the House and Senate have offered hundreds of millions of dollars in cost saving initiatives over the last three budget cycles and they plan to do the same this year as well. BOSTON—Saying the Commonwealth of Massachusetts has an obligation to cities and towns across the state, House Minority Leader Bradley H. Jones, Jr. has filed an amendment to the FY11 House Ways and Means budget that would restore local aid. The amendment, which is expected to garner bipartisan support during next week’s budget debate, would restore Chapter 70 and Unrestricted Local Aid to the amount proposed by the Governor in his FY11 budget. Representative Jones proposes raising the Chapter 70 appropriation to $4.05 billion and the Unrestricted Local Aid appropriation to $936 million. The current appropriations are $3.85 billion and $899million respectively. The amendment being offered by the Minority Leader is similar to the local aid resolution Republican lawmakers filed back in March. Several Democrats signed onto that resolution and Representative Jones is hopeful even more will join his cause this time around. 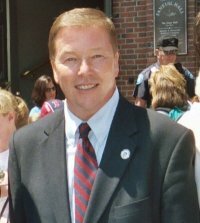 BOSTON—House Minority Leader Bradley H. Jones, Jr. issued the following statement after hearing Tim Cahill, most recently a member of the Democratic Party, planned to crash this weekend’s State Republican Convention. It appears Tim Cahill’s campaign is throwing yet another political “Hail Mary” as he continues his effort to persuade voters that he is a conservative-minded, independent thinker. Tim Cahill is a wolf in sheep’s clothing, traveling around the state saying whatever is politically convenient at the time. Cahill, who was for Deval Patrick before he was against him, supports increasing taxes, is against tax cuts and would continue the failed policies we’ve seen from the Patrick-Murray Administration. A vote for Tim Cahill is a vote for the status quo. Representative Vinny deMacedo, the ranking member on the House Ways and Means Committee is slated to appear on NECN's Broadside with Jim Braude tonight. The Plymouth Republican will discuss a number of issues, including the FY11 budget, the expanded gaming legislation that recently passed the House and a number of other hot topics. Be sure to tune in to New England Cable News tonight at 6pm. 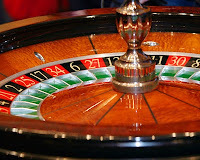 Boston- Saying slot machines should be made and purchased in the United States of America, Representative Elizabeth Poirier offered an amendment that was almost unanimously adopted in the House. In fact, only one member of the House of Representative voted against the common sense proposal. The amendment, which Representative Poirier filed today during the expanded gaming debate, would require the Massachusetts Gaming Commission to consider, before licensing a gaming facility, whether the developer will prioritize buying all slot machines made and sold in the United States. The Massachusetts House of Representatives began debating Speaker Bob DeLeo’s expanded gaming bill earlier today. More than 200 amendments have been filed. The final vote on the bill isn’t expected today. As you are all aware, the Massachusetts House of Representatives will begin debate today on Speaker DeLeo's expanded gaming bill. House Republicans are offering a whole host of amendments, aimed at making the bill a stronger piece of legislation. Roll calls are expected to begin at 10am and we invite all of you to watch the debate live, right here. The Capitol View will be checking in frequently over the next couple of days with updates. As a reminder, The Capitol View is now open for comments and we invite you to share your thoughts with us. House Minority Leader Brad Jones today called for the end of the massive hypocrisy working its way through the Massachusetts House of Representatives. This comes after reading a press release distributed from a House Democrat who called on the Speaker to delay the casino vote until a public hearing is held on the bill. That particular representative, Representative Jennifer Callahan, didn’t bother to offer an amendment to the order last week calling for a hearing or at a very minimum objecting to the order for the filing of amendments. In fact, the Democrat in question voted in favor of the order! Regardless of whether you agree with the process of the expanded gaming debate or not, this hypocrisy is laughable and needs to end. Callahan, who like many, has recently jumped on the reform bandwagon express, should have voiced her concern last week. Instead, she waited until the 11th hour in order to garner some press coverage. House Minority Leader Brad Jones appeared on WCVB's On the Record this weekend as the political show's Republican analyst. Jones appeared alongside Jim O'Sullivan of State House News Service and the pair answered a number of questions from On the Record's Ed Harding and Janet Wu. Hot topics included the expanded gaming debate coming up in the House, this year's budget and next week's MassGOP Convention. Click here to watch the show in its entirety. As you know, The Capitol View has been up and running for more than a year now. While we are proud and pleased with the success of the blog, we know that our readers would like to engage in further conversation after a blog post goes up. After hearing from many of our readers, we have decided to open The Capitol View up to comment. As we enter the budget season and the debate on expanded gaming heats up, we want to hear from you. It’s going to be a busy and exciting seven months and we look forward to hearing your thoughts and concerns. Please check back next week and be sure to voice your opinion! The Greater Boston Chamber of Commerce released a startling report that further proves the state of Massachusetts is simply not business-friendly. According to the latest study, Massachusetts’ corporate tax burden is the eight highest in the nation. All other states in New England rank lower than Massachusetts except for New Hampshire, which ranks third. The fact that Massachusetts borders several states that are seen as more attractive to potential business is particularly frustrating. The Chamber offers a number of reforms that if implemented would make Massachusetts significantly more competitive. In fact, the authors of the report say the tax reforms they suggest would create 35,000-40,000 new jobs. The evidence is there – it is time to reform the way we do business in Massachusetts. Beacon Hill Democrats need to read this report and embrace the facts and help us implement serious reforms. Governor Patrick’s struggling reelection campaign is gaining national attention as Politico.com posted an article this weekend called Obama Mission: Saving Gov. Patrick. 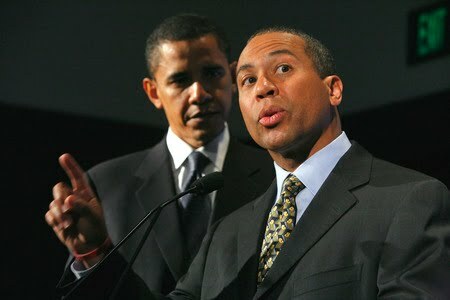 If Governor Patrick is banking on President Obama to help him get reelected, he’s got another thing coming to him. Governor Patrick’s poll numbers are in the tank for a reason, not just because this appears to be an anti-incumbent year. In fact, as reported by Politico, “One of the issues he’s being hammered on this year is not making good on his campaign promise to lower property taxes.” Ah yes, the number one campaign promise – reducing property taxes! How ironic that the average single family property tax bill has actually increased by 18% since Governor Patrick took office. In 2007, the average property tax bill was $3,962. Today, the average bill is $4,671. Is that change we can believe in? Politico also points out that Governor Patrick has had a hard time transitioning from campaigning to governing. The article also highlights that Governor Patrick’s tenure has been filled with controversy. Can you say Marian Walsh? Click here to read the Politico article in its entirety. 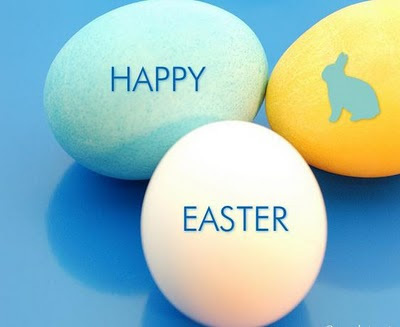 From all of us here at The Capitol View, we wish you a very Happy Easter! The Boston Globe’s Scott Lehigh hit the nail on the head in his latest column. As you know, Treasurer Tim Cahill has been out on the campaign trail delivering empty rhetoric packed speeches. However, his empty suit behavior is finally catching up with him because people are actually starting to ask how he’d deliver on all of those campaign promises he’s been making. The funny thing is he has no ideas and no solutions! That’s why we enjoyed Scott Lehigh’s column so much today. Click here to read the column in its entirety. It really does say it all! BOSTON—House Minority Leader Bradley H. Jones, Jr. issued the following statement in response to Speaker Robert DeLeo’s expanded gaming legislation. I look forward to having a full and transparent debate regarding expanding gaming here in the Commonwealth. The plan laid out by the Speaker appears to be a good starting point but there is still much work ahead. The issue of expanded gaming is complex and it is our duty to see that we act in a responsible manner while working to maximize revenue. When the bill is released, I plan to read every section, line by line. We as a state cannot afford to get this wrong and it is my great hope that lawmakers on both sides of the aisle take this issue seriously and work together in a bipartisan manner to make the expanded gaming legislation the best it possibly can be.